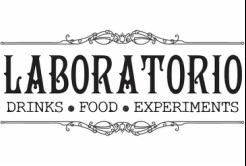 If you're still nursing trauma from your high-school science classes, come let Laboratorio heal those horrible mental scars with some experiments of the yummy kind. Here, the giant jars lined up and luminescent behind the bar (so pretty!) are filled, not with pickled frogs and centipedes (seriously, eww! ), but with the far more preferable concoction of Colombian rum and a catalog of local tropical fruits, herbs and spices. These are available straight and individually to sample (hello pineapple and passionfruit), or combined into a solution i.e. really freaking tasty cocktail (12,000 pesos). In place of beakers and bunsen burners (okay, they were cool), you'll instead find barrels. Yup, delicious Colombian craft beer on tap - sadly a rarity in these parts. Hailing from Medellin, the German-styled Apostol beer is offered in Rubia, Roja and Negra options (which are a lot easier to pronounce than their official Alemania names) paying homage to the traditional monk-brewed Trappist beers. Colombia's other famed brewhouses, Bogota Beer Company (try the Chapinero Porter or the Miel) and Club Colombia are also represented in bottled options. Priced between 5,000 and 7,000 pesos, the cervezas make good-valued company as you are watching live sporting events on the impressively big screen. And stay tuned as the Laboratory add to their inventory. Owners Diego Lacouture (Colombian-born, Chicago-raised) and Jean Trinh (France) have plenty of other plans up their labcoats, such as weekend brunch, a North American style backyard barbecue to pair with game-day and a menu of drinks-friendly eats that can be easily consumed one-handed. They also host monthly music events, when that fabulous courtyard converts into a starlight-ceilinged dance space. Nice. The Laboratorio is a very welcome addition to the Cartagena bar scene. Smack bang on the buzzing Calle Media Luna, it predictably attracts backpackers and travellers (and you should have SEEN the turnout for the World Cup games). You'll also meet long-term ex-pats excited over the affordable French wine (another scarcity) and genuinely good service or enjoying the fact there's finally a place playing their home country's big sporting events. Then there's Cartagena's in-the-know crowd of locals who just appreciate quality and good-vibes when they encounter it (and.. maybe they're looking to engage in some cultural experiments with all those foreigners?). Either way, it all results in a bar you'd be mad (scientist?) not to investigate.